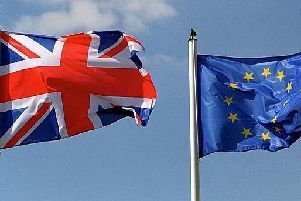 On Wednesday the government published a report addressing alternatives to UK membership of the EU. The findings of the report are indisputable: any alternative relationship, such as those Norway, Switzerland and Canada have, would make Britain ‘weaker, less safe and worse off’ in the event of Brexit. Of course ‘Outers’ have branded it just another example of ‘project fear,’ but the fact remains that other than pushing for some sort of arrangement that would inevitably involve signing back up to EU rules anyway, those wanting to drag the UK out of Europe have so far been unable and unwilling to tell us, in any sort of meaningful detail, what life outside would be like. It’s about time the ‘Outers’ faced the facts and were honest with the British public – we deserve to know what June 24th will look like if we were to vote to leave. Until then, we should interpret their silence on the future of the UK outside the EU as recognition of the fact that when it comes to people’s pockets, like the environment, national security and consumer and workers’ rights, our existing membership of the EU guarantees that we are better off in.